Blue Star is a 70-year-old leading Indian Company. 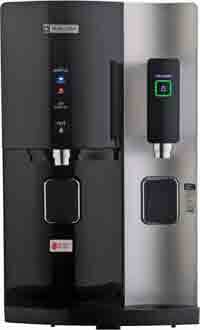 The main businesses activities of Blue Star are Air Conditioning, Water Coolers and Water Purifiers. The water purifier business of Blue Star is new and started from April 2016. Being in the market for 70 years means that Blue Star has an excellent distribution and service centres all over the country. Thus they will have outstanding service facility anywhere in India. 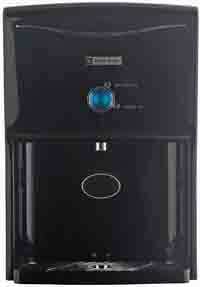 The initial offerings of water purifiers from Blue Star are in four series called Stella, Prisma, Edge and Majesto. Blue Star water purifiers start at an MRP of Rs. 14,900-. 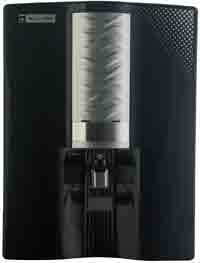 The MRP of Blue Stars costliest model Stella, which is India's first RO+UV purifier that dispenses hot, cold and room temperature water, is Rs.44,900-. Some unique features of Blue Star water purifiers are anti-stagnant ripple technology to prevent the formation of slime in the purified water tank, child lock function, taste enhancer which adds purified essential minerals to RO water and electronic dispensing buttons to give ice cold water or normal water or hot water to make tea, coffee and instant noodles and soups. 5 stage RO + UV water purifier, has Aqua Taste Booster (ATB) which is a post RO taste enancer cartridge which adds purified minerals to the RO water. With this purifier you get 100% pure RO water which is neutralised by the ATB meneral cartridge and adds purified essential minerals to the water. Better than adding the RO reject water to adjust pH and TDS of RO water. Child lock included. 5 stage RO + UV water purifier, has Aqua Taste Booster (ATB) which is a post RO taste enancer cartridge which adds purified minerals to the RO water. With this purifier you get 100% pure RO water which is neutralised by the ATB meneral cartridge and adds purified essential minerals to the water. Safer than adding the RO reject water to adjust pH and TDS of RO water. Has anti stagnant ripple technology in storage tank to prevent biological growth in pure water tank. 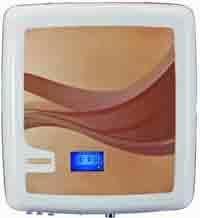 Electronic dispensing with touch sensor and smart selection, Child lock included. 5 stage RO+UV water purifier, has Aqua Taste Booster (ATB) which is a post RO taste enancer cartridge which adds purified minerals to the RO water. With this purifier you get 100% pure RO water which is neutralised by the ATB meneral cartridge and adds purified essential minerals to the water. Safer than adding the RO reject water to adjust pH and TDS of RO water. Warning when time for filter change, speech assist feature, touchscreen and smart selection.